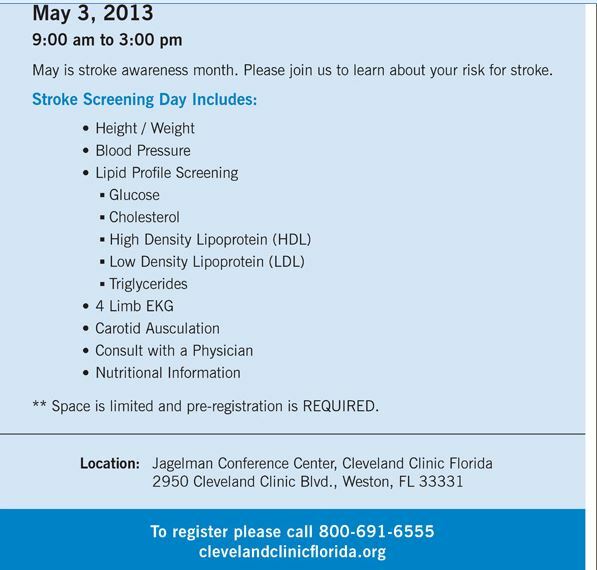 Cleveland Clinic Florida has announced that it will offer Free Stroke Screenings to the public on May 3, 2013. Phone registration is required: To register, call toll-free 800-691-6555. Copyright © 2013 Care-Help LLC, publisher of HelpingYouCare®. All rights reserved (in linked content from HelpingYouCare® only).